If you have significant assets in an IRA, then you should consider setting up a special type of revocable living trust that is designed to be the beneficiary of your IRA after you die. This type of trust is referred to by several different names, including an IRA Trust, IRA Living Trust, IRA Inheritor's Trust, IRA Stretch Trust, IRA Inheritance Trust or Standalone Retirement Trust. Below you will find information about all of the benefits that an IRA Trust can offer to your beneficiaries, including your spouse if you are married. In general, IRAs are protected from the claims of creditors with regard to the IRA account owner while he or she is living. However, once the IRA account owner dies and the IRA assets get into the hands of an individual beneficiary, in most states the IRA assets will lose their protected status (see SCOTUS Decision Makes Inherited IRAs Vulnerable to Creditors' Claims for more information). On the other hand, IRA assets passing into a subtrust created for the benefit of an individual beneficiary under the terms of an IRA Trust will be protected from creditors, predators, lawsuits and divorcing spouses as long as the funds remain inside of the trust and can only be distributed in the discretion of the Trustee. 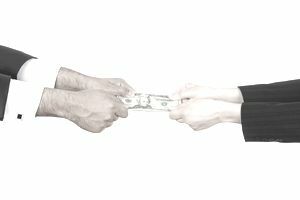 This will ensure that the IRA assets will remain intact for the use and benefit of the beneficiary in the event the beneficiary files for bankruptcy, gets sued, or gets married and then divorced. In addition, an IRA Trust will protect the beneficiary from his or her own bad decisions, excessive spending habits, inexperience with investing, and overreaching spouses. Finally, if you want to make a special needs beneficiary the beneficiary of your IRA, then the subtrust created for the beneficiary can be specifically designed as a special needs trust that will ensure the beneficiary continues to receive government assistance. If your IRA is left directly to your beneficiaries outside of a trust, then your beneficiaries can immediately cash out your IRA and spend the money as they see fit. What happens if a beneficiary chooses this option? Then not only is a stretch out of the required minimum distributions, or RMDs, over the beneficiary's remaining life expectancy lost, but 100% of the amount withdrawn will be included in the beneficiary's taxable income in the year of withdrawal. A different type of problem can be created if you name your minor grandchild as the direct beneficiary of your IRA. If this is the case, then a guardianship or conservatorship will need to be established to manage the IRA for the benefit of the grandchild until he or she reaches the age of 18. Then, once the grandchild reaches 18, he or she can withdraw 100% of what is left in the IRA without any strings attached. On the other hand, if your IRA passes to your beneficiaries through an IRA Trust, then you can put restrictions on how your IRA assets are spent and when and how much the beneficiary can withdraw. This will create an ongoing legacy for your family since the IRA assets that are not used during a beneficiary's lifetime can continue in trust for the benefit of the beneficiary's descendants. This will also be important if the beneficiary already has a taxable estate since the IRA Trust can be drafted to minimize or even eliminate estate taxes in the beneficiary's estate through generation-skipping trust planning. An IRA Trust can also be drafted to ensure that the RMDs must be stretched out over the entire lifetime of each of your beneficiaries and not withdrawn all at once (a stretch IRA), thereby preserving the IRA assets that are not needed by the current beneficiaries for the benefit of future generations. If you are in a second or later marriage and you and your spouse have a blended family, then your IRA Trust can be designed to give your Trustee access to your IRA for the benefit of your spouse during his or her lifetime, but after your spouse dies you can dictate that what is left in the IRA Trust will go to the beneficiaries of your choice. This will keep your IRA out of the hands of your spouse's family or a new spouse if your spouse chooses to remarry.